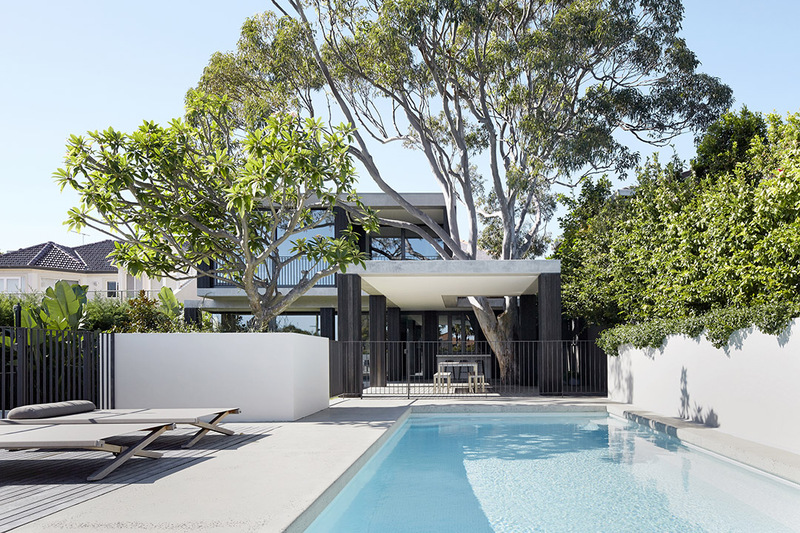 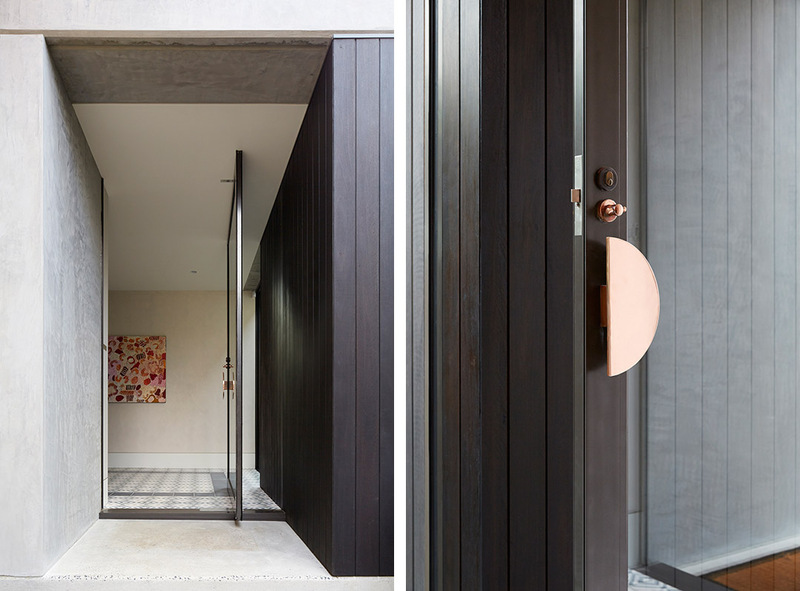 B.E Architecture’s most recently completed project,Hopetoun Avenue, is a renovation and extension to a period home in the Sydney suburb of Vaucluse. 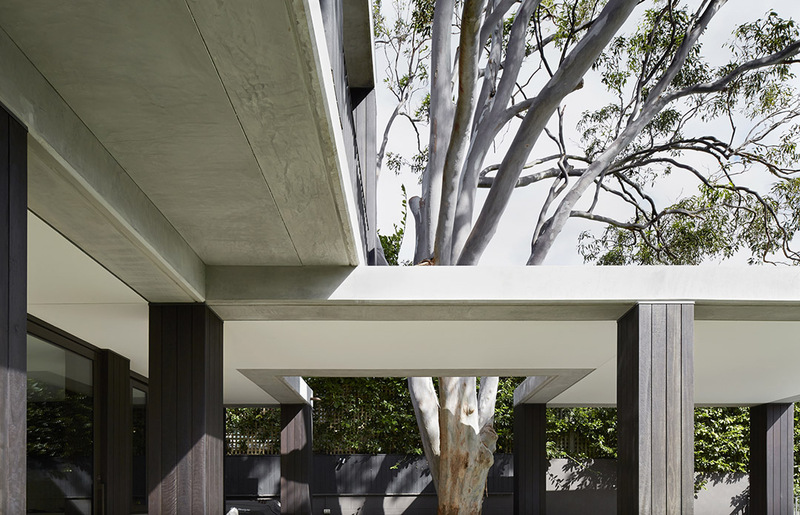 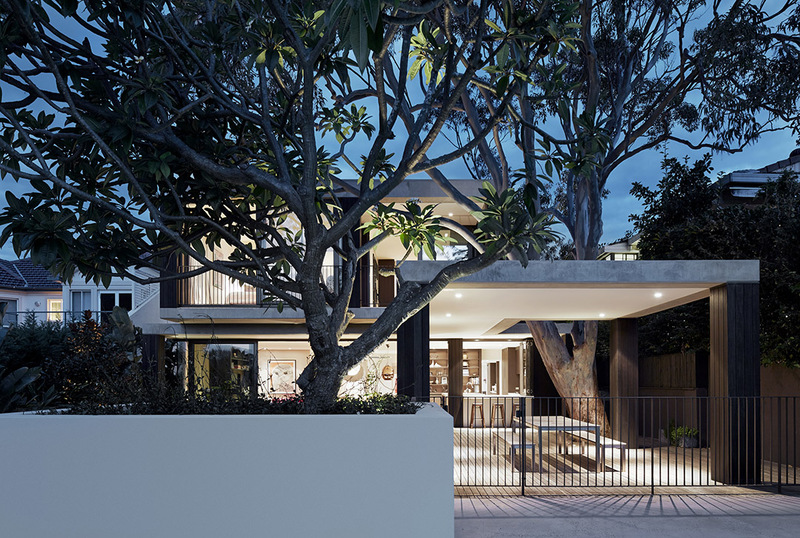 Offering an intentional point of difference to the solidity of the existing sandstone house, the new addition is a gentle intervention that emergesquietly from the canopy of a beautiful, mature lemon-scented gum tree. 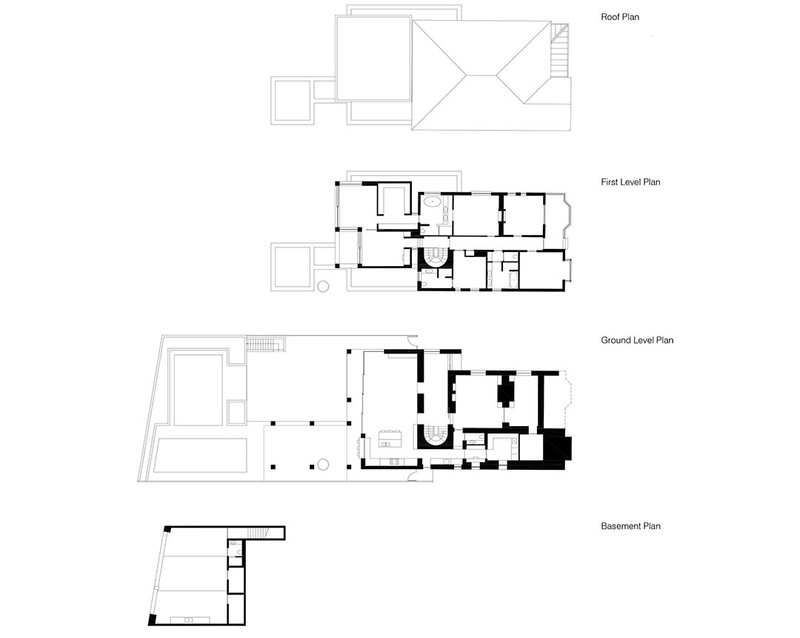 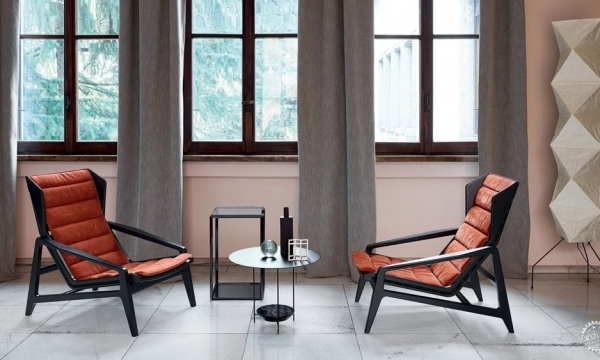 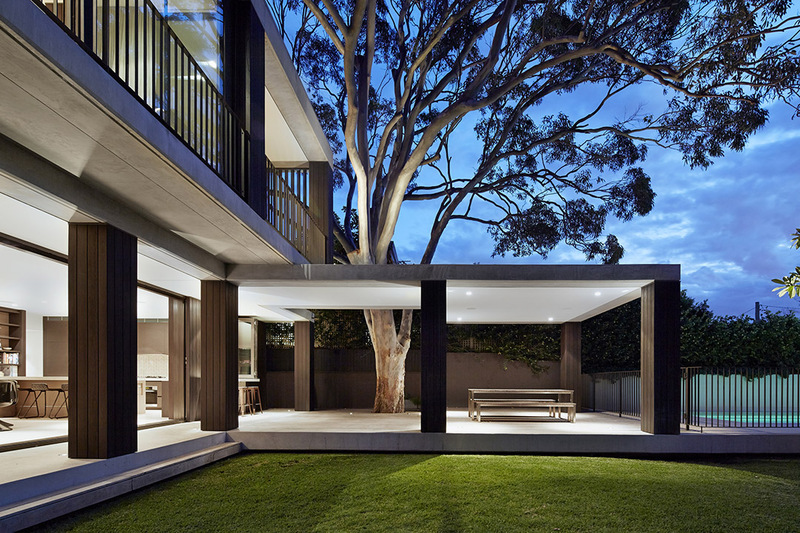 With sensitivity to the site’s inherent strengths, the design embraces thepreservation and integration of the established tree allowing it to remain the dominate feature on the property. 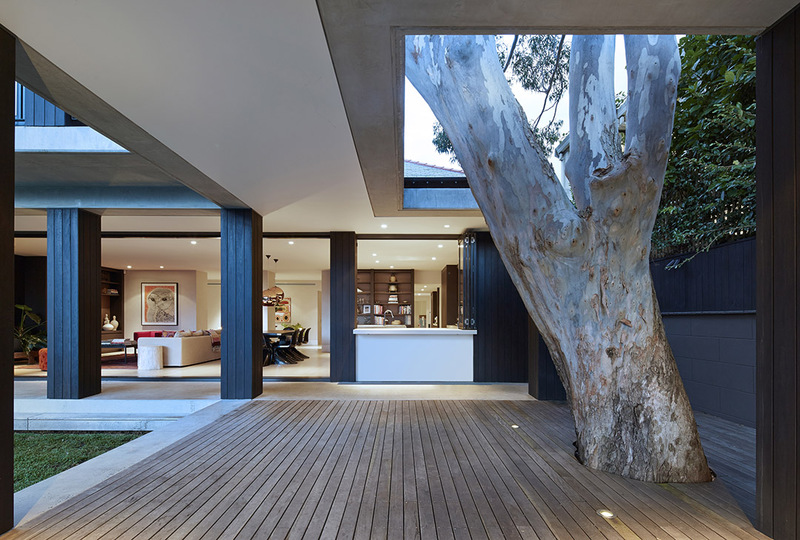 The covered outdoor spaces are literally built around the tree,encapsulating and framing the trunk. 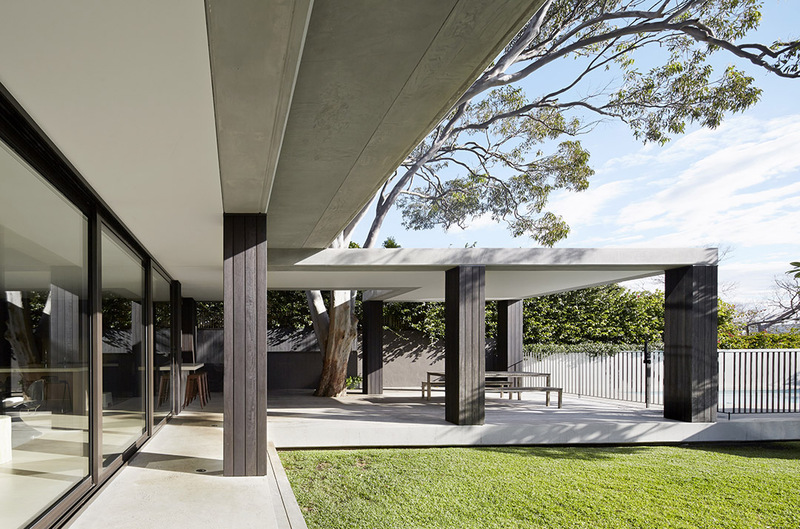 The timber-clad columns recede into thebackground and a fine line of glazing opensto the densely planted side yard for continuous access to the natural environment from within the interior spaces. 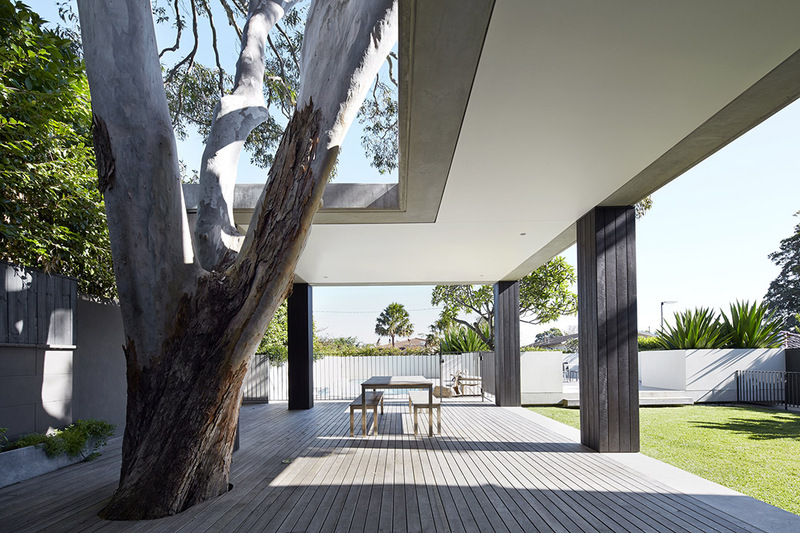 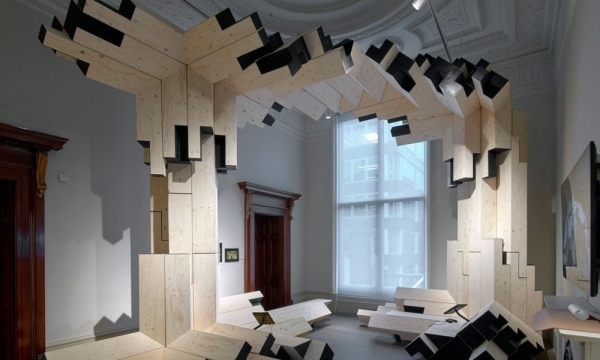 Preservation of the tree required the structure to be physically light. 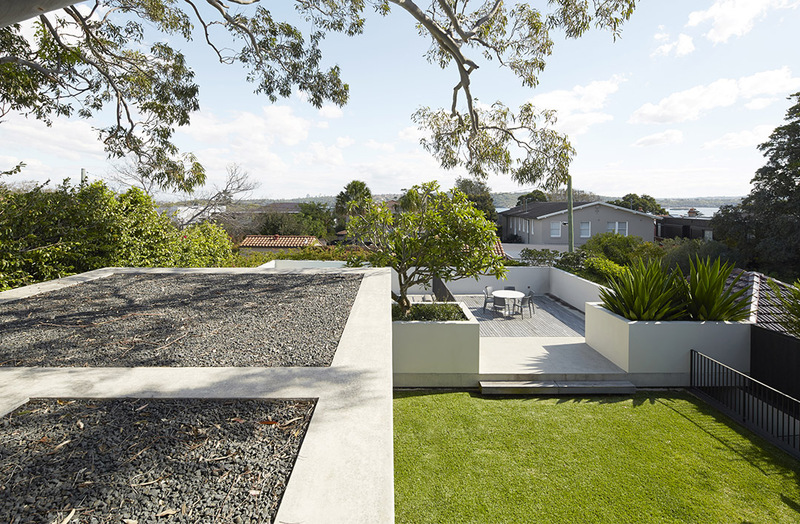 Built on a steeply sloping site, the expansive addition made from thin concrete includes an underground parking garage and a large suspended pool, without damaging the tree’s root system. 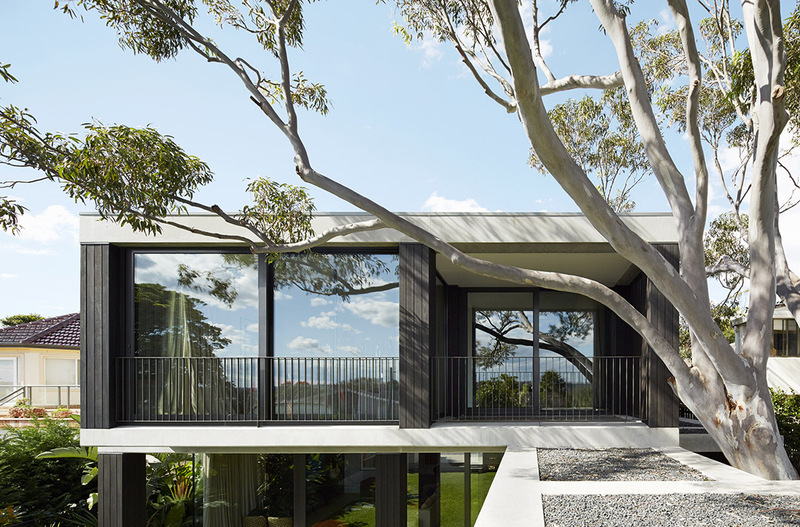 The suspended platform also provides a generous planted areacreating obscured views of the house.